If you are a fan of British broadcaster, naturalist, and “national treasure” David Attenborough, you won’t want to miss this. He’s signed on to produce a “Tweet of the Day” for the BBC. The broadcast, to air at 5:58 a.m. (just in time for the dawn chorus! ), will feature songs, information about life and behavior, and interesting historical context for a different bird each weekday. The series starts on Radio 4 on May 6. Not in the U.K.? 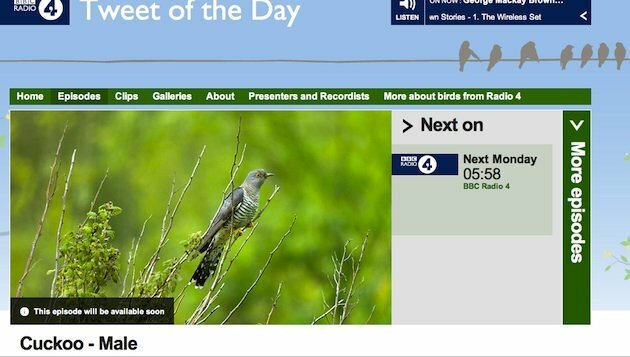 No problem: you can follow the Tweet of the Day on its website or, of course, at its dedicated Twitter feed, at #r4tweet.